The mass “plentiful models” impels HTC to expose the information of their new-type phones every day, expect the 720p HD dual-core flagship HTC Vigo and the HTC Rhyme that are customized for the female, HTC Runnymede has been catching people’s attention for the reason that its official figure has been exposed and it has being reserved in Britain. However, according to the announced information of its retailer –handtec, the future name of HTC Runnymede will be HTC Bass, and it is predicted that it will go public officially on October this year. In accordance with the information on the official blog of British retailer handtec, this type of cell phone will be go public together with female MP on about October this year. In the meanwhile, the published official figure shows that a red Beats Audio mark has been printed on the back of this phone body. 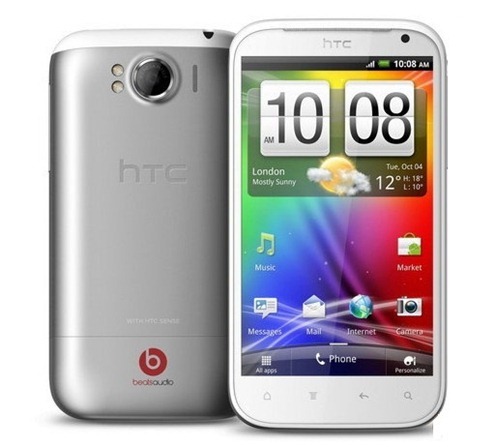 It means that this cell phone is also characterized with excellent acoustic fidelity compared with up-to-date released HTC Sensation X. Although this cell phone which is expert in perfect acoustic do not has something special in shape, the pure white phone body and insufficient 10 millimeter thickness can manufacture particular “eye effect”. However, the most attractive point of it is that it is equipped with 4.7-inch touch screen; and it also supports qHD resolution, so it is believable that the visual effect of “hand cinema” can not be refused by most of people. What the shortcoming is that it is not equipped with dual-core processor because of its market positioning, instead, it is equipped with 1.5GHz mononuclear processor. HTC Bass is also with 768MB RAM, 16GB storage space, embedded 8-million-pixel camera, LED fill light, supports automatic focus and 720p HD video recording. And in order to deal with the low light environment, it adopts illuminated CMOS sensor and equips the 28mm wide-angle lens with f/2.2 large aperture. In addition, HTC Bass is also with 1.3-million-pixel front-facing camera, supports video call, HSDPA high-speed network and Wi-Fi wireless internet. Other functions like BlueTooth 3.0 technology, GPS navigation, 3.5mm earphone interface, FM radio and double microphones are also included in this smartphone. Information provided by the English retailer that HTC Bass will make an official release on October, and until then there will be a 16GB version and a 32GB version for users’ options, and it will be put into the market on November.